We’ll always remember your succulent Texas-style beef brisket. You gave us the best eastern Carolina pulled pork BBQ. You provided our Thanksgiving turkey when the whole family was here one year. You brought us together for outdoor Sunday football around the TV and the fire pit. You slow cooked the Pacific salmon to smoky perfection. You entertained Bill for hours on end. You gave us many happy times with good food. Most of all, you made our back yard hospitable. We moved in our house 15 years ago and went to a yard sale down the street on our first Saturday here. Bill bought a smoker for $20 from the Smith’s who were downsizing. The smoker was neither fancy nor pretty, not like the newfangled ones. Worse yet, there were no instructions! Last Sunday, the old smoker gave up the ghost. It goes to show you, some things in life aren’t costly or flashy, they just do the job until they can’t do it any more. Bill learned how to get the most out of the old thing with the right wood, regulated heat, spicy rubs, a little research, and a lot of patience. Bill is looking for the next yard sale. The rest of us are waiting for the next meal. The succulent taste comes from the rub and the combination of mesquite and cherry wood chips. Smoking meats, poultry and fish takes practice, but we always had plenty of folks willing to taste test. 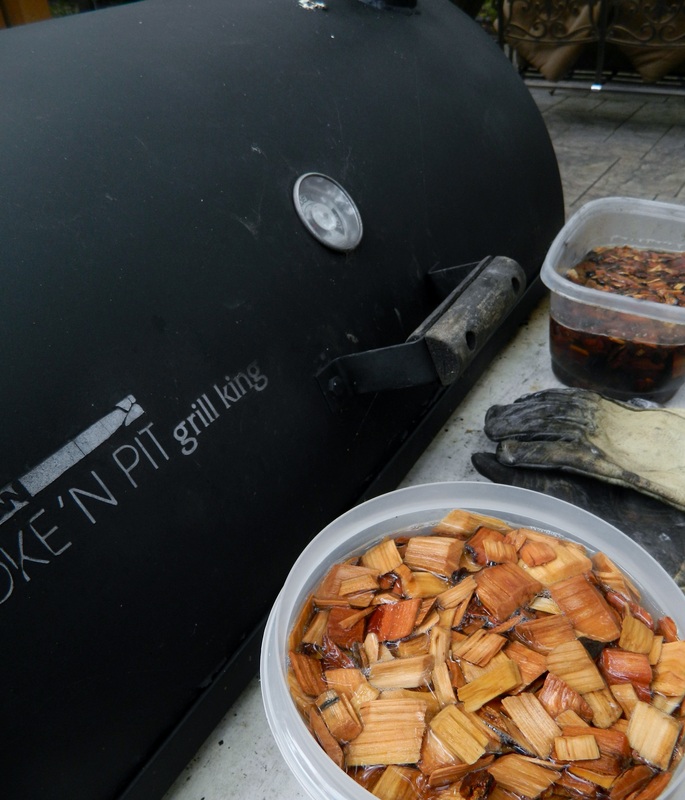 Prepare smoker with wood (sometimes combined with charcoal) and cook brisket for 6-8 hours, the longer the better. Slice thinly when done. 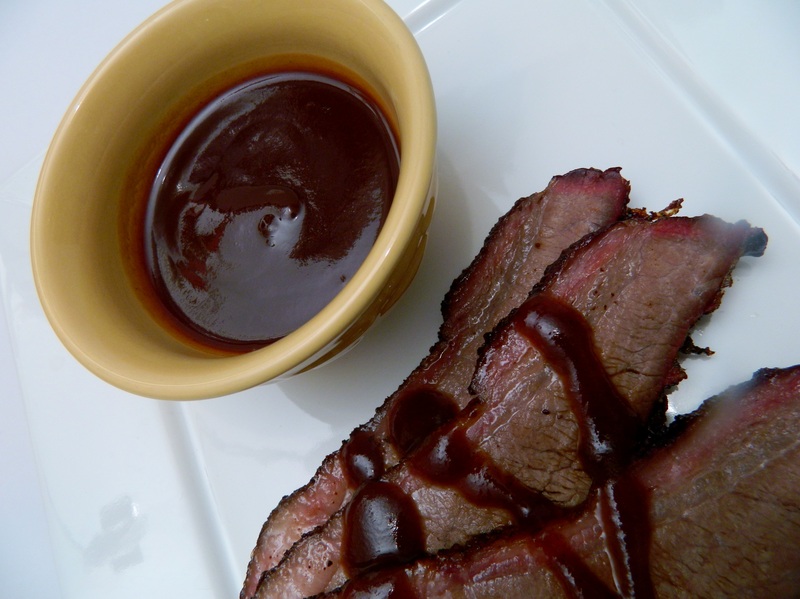 Serve with your favorite Texas-style BBQ sauce, corn, rolls, slaw, and beans. 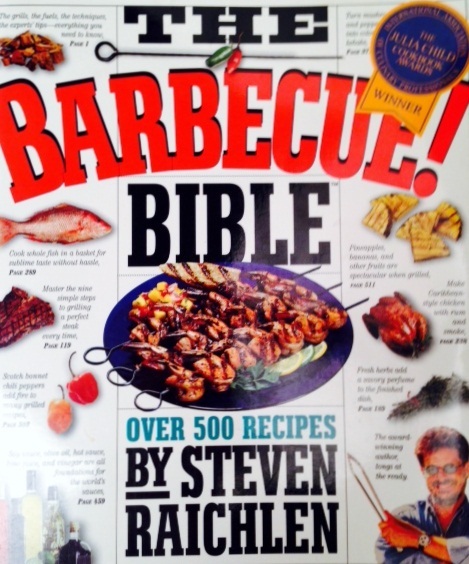 Bill recommends The Barbecue Bible by Steven Raichlen. Unless you have a mentor or some good instructions with a brand-new smoker, you will have to do research. But, even then, practice, practice, practice. It’s worth it! I can hardly pass through the grocery store without picking up a bag of Kraft caramels (the one with the sticks in the bag). Then, I choose some Granny Smith apples and I really believe I will make candy apples. Before you know it, we’ve gobbled up the caramels, the apples go into school lunches, and the sticks gather dust in the drawer. But not this year…caramel and apple unite! Here is my rendition of a thumbprint cookie using caramels and apples. No sticks needed. 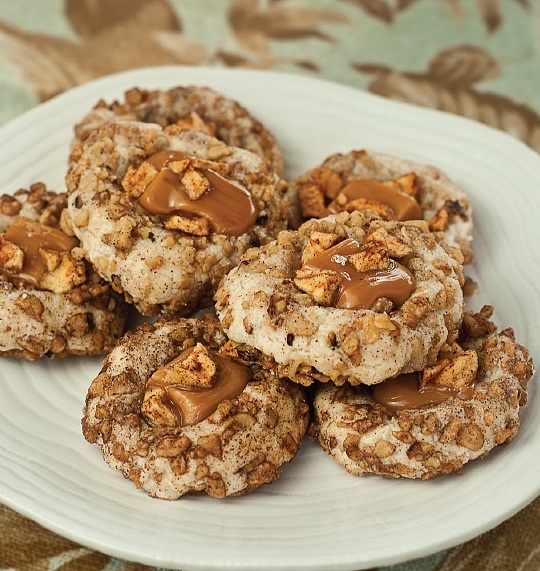 My recipe was originally published in Celebrate Home Magazine, Fall 2012. In a mixing bowl, beat butter until fluffy. Add flour, sugar, egg yolks and almond extract. Combine thoroughly. Cover and chill dough for about an hour. Mix walnuts with cinnamon-sugar mix and set aside. Chop apples and mix with cinnamon-sugar mix and set aside. Shape chilled dough into two-inch balls with a cookie ball scoop. Roll in beaten egg whites/egg mixture and then roll in chopped walnuts. Place on parchment-lined cookie sheet. Press your thumb in the center of cookie. Bake in 350⁰ oven for 10 minutes. Remove from oven and place a caramel square in the middle of each cookie. Sprinkle cinnamon-sugar chunks on top of cookie. Bake another 10 minutes or until a toothpick comes out clean. Cool on cookie sheet. This One’s for You Mary D.
Mary mentioned last week that she hasn’t seen a blog posting this month. “I keep all your blogs in a folder and I haven’t received any lately,” she said. I’ve blogged regularly one to two times a month, sometimes more, since 2011. There has been a temporary lapse only because our son started high school, the Washington Nationals entered the Major League Baseball National League Division Series, celebrations of life’s events took place, and, like all of us, life got busy. But hospitality goes on whether it’s chronicled in the pages of this blog or not. When people rely on you for whatever reason, you have to deliver. In this case, it’s just a blog with lessons of hospitality, recipes, and tales of good people. But, I’ve given my word that I would keep the hospitality tales coming. It’s simple — if your word isn’t any good, then what is left? Here is a photo of the last lopes of the season. 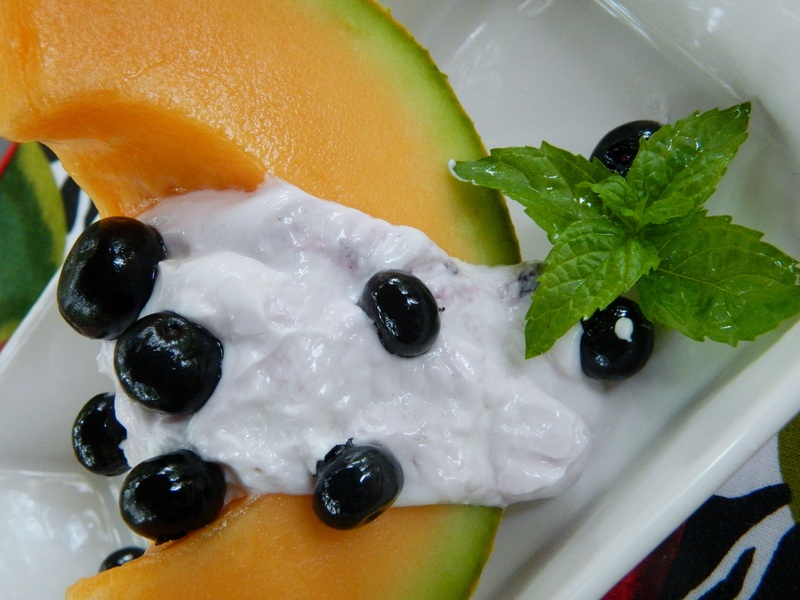 Add some yogurt and fresh fruit and you have a light breakfast. Thank you, Mary, for missing the blogs.